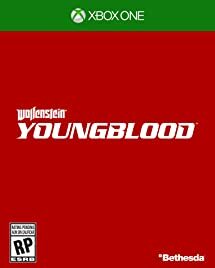 Wolfenstein: Youngblood is a brand-new co-op experience from MachineGames, the award-winning studio that developed the critically acclaimed Wolfenstein II: The New Colossus. Set in 1980, 19 years after BJ Blazkowicz ignited the second American Revolution, Wolfenstein: Youngblood introduces the next Blazkowicz generation to the fight against the Nazis. Play as one of BJ’s twin daughters, Jess and Soph, as you search for your missing father in Nazi-occupied Paris. Last edited by OldBoy; 07-11-18 at 10:46 PM. It was confirmed in the reveal that it can be played co-op or solo. Crisis averted. I will check it out. I will definitely be checking this out as well. Yes it was announced during BETHESDA E3 conference, but was gonna wait until Quakecon when they show actual footage to make a thread. Still need to play WII. In an interview with GameCentral, Pete Hines, Senior Vice President of Global Marketing and Communications at Bethesda, confirmed the studio is "absolutely" making Wolfenstein III. When asked about the future of the Wolfenstein franchise, Hines said, "Absolutely we're making a Wolfenstein III." He continued, "[MachineGames] said on stage that they're taking a break from the larger story to do [Wolfenstein: Youngblood]. But we all have to see how that ends." Base game is $30, Deluxe version is $40. Deluxe version includes an option where a friend can play the game co-op with you for free, similar to how A Way Out did. I haven’t even finished the second one. Meh. I thought it was a huge step down form the first one. So few shooters have a co-op campaign. I love that for an additional $10 I can buy this and have my friend play the campaign with me at no cost to him. That is awesome.